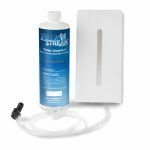 Our revolutionary system will change the way you use and manage your RV/marine black water tank. 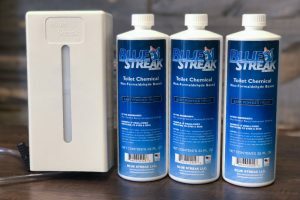 The dispenser connects directly to your toilet and delivers the perfect amount of Blue Streak for each flush. This system will quickly pays for itself due to the savings from using a lot less in chemicals. The perfect amount of treatment every time. Non-electric, no moving parts, zero maintenance dispenser. 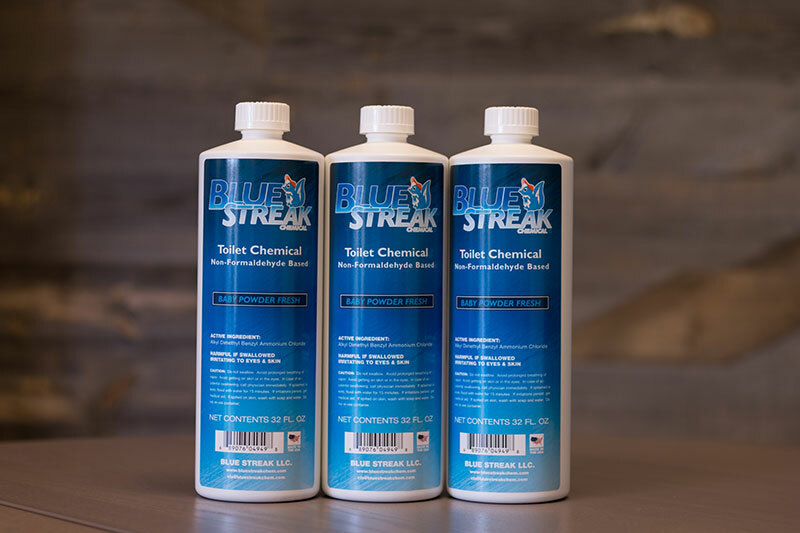 The Blue Streak dispenser requires no batteries, power, or complex installation. Just connect to your flush line, and the proper amount of chemical will be added to each flush. “I wanted you to know that I am now two seasons into using your product and I could not be happier. Well, that Is not totally. 100% true. I could be happier, if you could come up with a way to automatically dispense the same product into my gray tanks… then my issues with tank smell would be completely resolved. 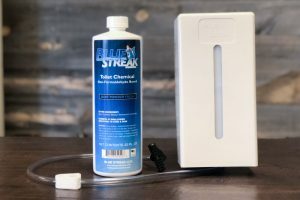 “We purchased a Blue Streak system at the Fall MARVAC show in Novi. It seems to work great. We recently traded our handicapped equipped coach for a newer one while on vacation, and will be purchasing a Blue Streak for it when we get home to Michigan. 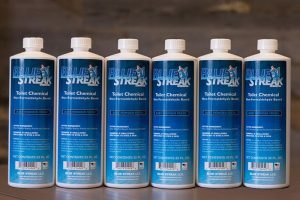 When we traded in the old coach, we told the salesman and service director at the dealership about the Blue Streak system, and suggested that they consider selling it in their store. Perhaps you should contact them with a reminder and some information on your product. It is North Trail RV in Fort Myers Florida, a very large dealership. Even after only a few months of use, we really miss having the Blue Streak dispenser in our new coach this past week since we got it. Regular chemical options just aren’t as convenient or effective.